For those of you who are staying at Club over the holiday but still want to enjoy a home-cooked meal, our sister property Tahiti Village is offering a great Thanksgiving day menu at its onsite restaurant. Stop by Tahiti Joe’s on Thursday, Nov. 28 from 11 a.m. to 5 p.m. for a traditional Thanksgiving dinner with your choice of turkey or ham and all the fixings for just $15.99 per person. After 5 you can order from the regular menu or feast on more turkey and ham goodness. 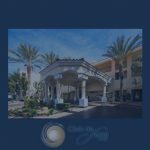 Tahiti Village is just five miles from Club, at 7200 Las Vegas Boulevard South and Warm Springs Road. We hope you have a wonderful (and filling) Thanksgiving!